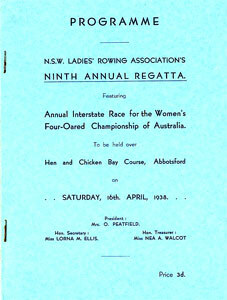 A good start was had by all crews then a magnificent struggle between WA and NSW began with the crews no more than 3/4 length apart at any stage during the race. Within 80 yards of the line NSW was still leading but seemed to falter. WA took the opportunity and rowed through NSW to win by a canvas. Tasmania was third, four lengths behind and was closely followed by Victoria. The Victorian crews of that era were not very good and the selectors tried unproven oarsmen in the hope of success. 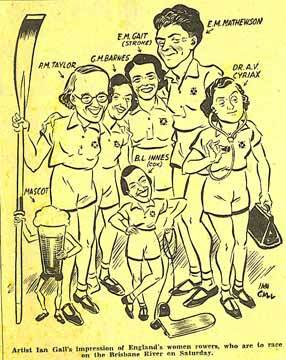 The stroke was a junior oarsman from the Banks Rowing Club and the five man a strong maiden oarsman from Ballarat. The crew did not reach a stage of having a flat out trial course before the race day and two of the crew had not raced beyond a mile. 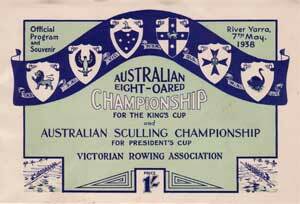 The Sculling Championship was never a contest even for placing and a comfortable win to Cecil Pearce again. An English Ladies' four toured Australia and took part in the Championships as part of the Sydney Anniversary celebrations. The England team competed in four races during their tour of Australia and won all of them. 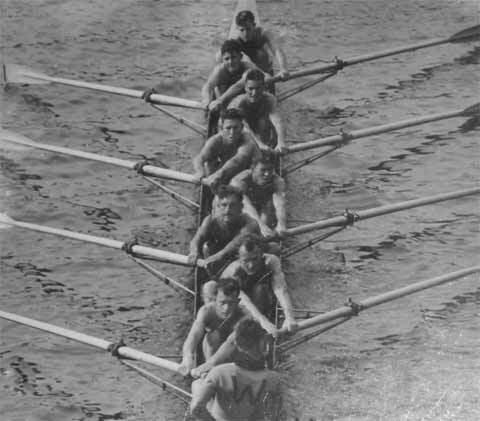 The Queensland crew led early in the race after England got off to a bad start. However with powerful and steady rowing, the English crew took the lead by the half-way mark and then went on to win by 2 lengths. 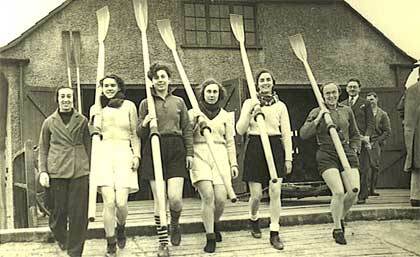 The Victorian selectors went with an experienced crew which included some older rowers. Mrs Walsh from Essendon in the two seat was a grandmother and Mrs Bennell was a mother. Alas they were not able to match it with the other crews.